Are Social Media Sites the New Slush Pile? Debut author Leigh Fallon, discovered on HarperCollins’ community YA site, is one example about how the path to authorship is changing. How does a first-time YA author get published when she doesn’t know the first thing about how publishing works? Slush piles of unsolicited manuscripts are seemingly a thing of the past — but if you’re Leigh Fallon, the answer was surprisingly easy — Inkpop. But then she discovered Inkpop — one of the first interactive writing platforms for teens backed by a major publisher. 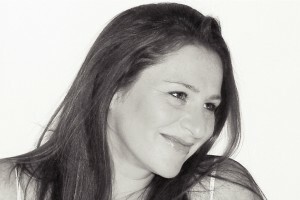 Launched by HarperCollins in 2009, Inkpop combines community publishing, user-generated content, and social networking to connect aspiring writers of teen literature with talent-spotting readers and publishing professionals. Fallon uploaded her manuscript and almost immediately it caught the attention of readers – within three weeks it had risen to the site’s “Top Five” most read and highly rated manuscripts. Not only had Falllon’s book been discovered by readers, it had been spotted by an editor at HarperTeen who posted her own review. Leigh had just begun incorporating those suggestions when she received a letter from her, just letting her know how much she had enjoyed it, how much it had stayed with her, and how much she wanted to work with her — but with no concrete offer. Then, a couple of days later, Fallon had won the holy grail of all aspiring writers — a publishing contract from a major publisher. 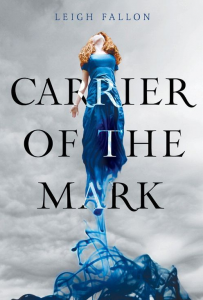 It had just been a year since Fallon had jotted down the first notes for Carrier of the Mark, which, as it turns out was HarperCollins’ first acquisition from Inkpop. “For many people the rise to ‘Top Five’ on Inkpop is a long process, but not for Leigh. The Carrier of the Mark shot to the top of the list. This was one of our first key indicators that it was an outstanding project,” said Susan Katz, president and publisher of HarperCollins Children’s Books. The Carrier of the Mark, was purchased by HarperCollins in January, and published in early October; foreign rights have gone to Brazil, Italy, Poland, Turkey and the UK. Fallon’s experience is just one example about how the path to authorship is changing in these digital days. Dennis Abrams is a contributing editor to Publishing Perspectives, responsible for children’s books and media. Contact Dennis via email here. DISCUSS: Are Social Media Sites the New Slush Pile?